Review the following queries to find your answer. If you have any other queries, contact the Literary Press Group of Canada staff. Who is the Literary Press Group of Canada? Who does the Literary Press Group of Canada represent? Where is the Literary Press Group of Canada located? How do I become a member of the Literary Press Group of Canada? Can I get my book published by the LPG? The Literary Press Group of Canada does not publish books or accept unpublished manuscripts. To find a publisher, please view our list of Member Publishers for links to their sites and submission guidelines. I want to order books for my store. How can I place an order, check the order status, or request publisher catalogues? Please contact the sales representatives for the particular publisher you wish to order books from. If you are unsure of who reps a particular publisher in the trade, please view our list of Member Publishers to see who represents them in the trade. I am a teacher / professor / librarian and would like to get a desk / examination copy of one of your titles. Please contact the individual publisher for desk and examination copy requests. You can find them among our list of Member Publishers. I am a journalist and would like to get a review copy of one of your titles. Please contact the individual publisher for a review copy. You can find them among our list of Member Publishers. I am a fan of your authors and books. How do I learn more? 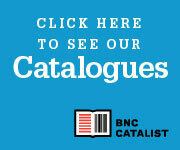 AllLitUp.ca is the best place to find information about all of our books in one place. Most of our members' book are available for sale through the site (in both print and ebook formats) plus we blog about the books 5 days a week.